Liz Harris lives and works on the Oregon Coast. 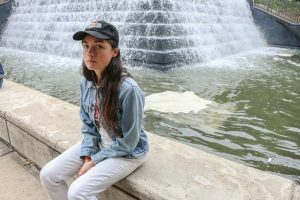 She has been recording, performing, and releasing music under the name Grouper since 2005 on various imprints including Kranky and her own YELLOWELECTRIC. Her work is characterized by a fascination with paradox, literal and impressionistic experience of environment and human behavior. Her compositions have been commissioned and shown across Europe and the United States, with participation in residencies and projects supported by organizations including PICA (US), Ucross (US), Berkeley Art Museum (US), Ballroom Marfa (US), Room40 (AUS), Galeria ZDB (Portugal), and Leeds Opera North (UK). Paul Clipson: Visuals, Grouper: Sound. 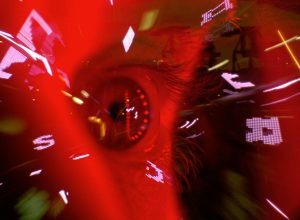 For Cinechamber, Liz Harris and Paul Clipson premiere a 360"experiential incarnation of HYPNOSIS DISPLAY, their acclaimed sound/film performance collaboration. This screening short is 7.5 minutes long that features a fresh studio soundtrack arrangement by Grouper.